Every since I started the blog, I promised myself to stay away from political and religious issues because they only cause arguments & hard feelings and they’re impossible-to-win battles. Discussing such sensitive issues only sends out negative vibes, which is why I’ve been focusing on tackling social issues and critisizing ministers & MPs who are not doing their job properly, regardless of what party they belong to and which God they pray to. If a Telecom Minister is not providing me with decent internet, I should not be complementing him and blaming previous ministers because we’re from the same political party. If a Health Minister is doing a good job but we don’t agree politically, I shouldn’t be bashing him on every occasion just because I don’t like him. In fact, we’ve hit a new low in this country where we find ourselves praising our representatives for doing their job, as if they’re not supposed to do so and we’re all falling for it in a way or another. Nevertheless, I think it’s still better than nagging and criticizing the whole time as we need to stay hopeful and hope for change even if it’s far-fetched. Going back to the political and religious-fueled debates, I took part in a couple of (offline & online) heated debates in the past weeks with supposedly educated and mature individuals, only to find out how hate-filled and childish they are. I can understand stubborn partisans but the worst kind of people for me are those who pretend to fight corruption and pretend to oppose the ruling political class but can’t help but praise them, even if indirectly, when they do something good, whatever that means. Add to that those who critisize religious figures or institutions on every occasion but are outraged when someone they don’t agree with does so publicly, or worse can’t distinguish PR campaigns from reality or want to convince you that there are good and bad extremists. They are all offended whatever you tell them, and they refuse to admit their mistakes but instead tend to curse at you or block you. They turn what could have been a pleasant and constructive conversation into a nasty ego-driven interchange and you find yourself regretting the whole thing and wondering what happened. Based on previous experiences, I’ve come to realize such disagreements are pointless because they are sometimes driven by personal and life-changing events, which is not something I’m interested in unless they’re close friends of course. All in all, the part I love most about the blog is engaging with the readers, trying to reach out to the largest audience and holding constructive conversations. 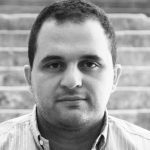 I try to stay away from politics and religion not because I’m incapable of arguing about such topics, but because I’ve lost interest in both topics in Lebanon and even when I do tackle them, I do so jokingly or debate with close friends privately. 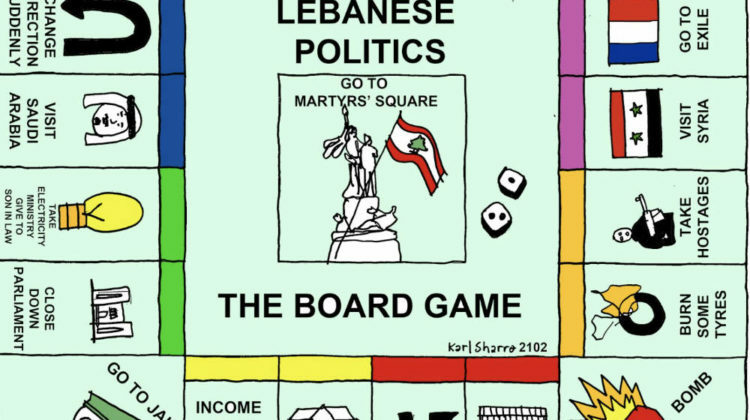 I said jokingly because Lebanese politics are closer to a board game than real politics. Therefore, instead of wasting your time in one of these pointless interchanges and short-sighted hate-filled people, focus on the bigger image and try to focus on positive stuff. It’s hard at first but it pays off on the long run. Also if you have no choice but to stay in Lebanon, it’s better to make the most out of it otherwise you’ll end up b*tching and nagging online and offline till you leave.